For years I just paid for satellite television every month without giving it much thought. But as alternatives to the $100+ a month cost became more viable, the expense became more irksome. 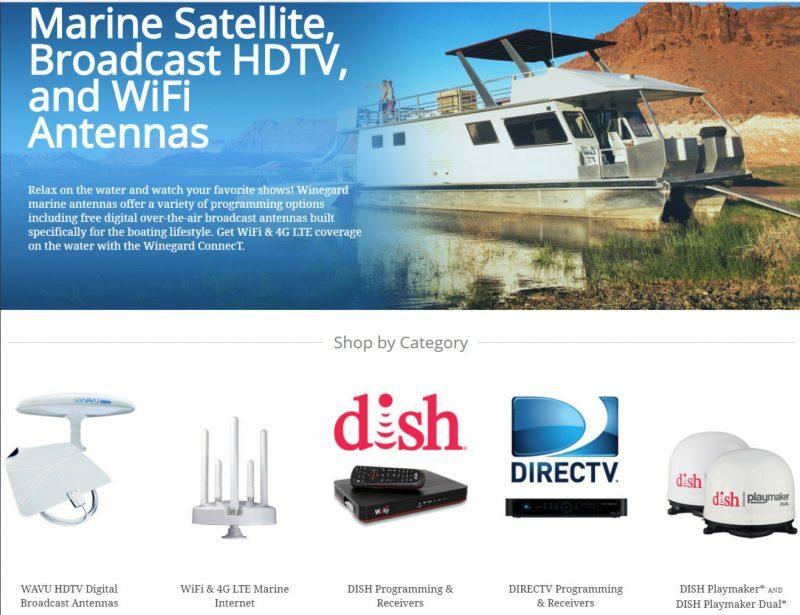 So about a year and a half ago, we cut the cord — the current terminology for getting rid of cable or satellite — both at home and on the boat. 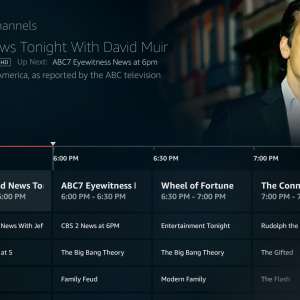 We stopped paying for a traditional subscription TV model. We still pay for Netflix, Hulu and Amazon Prime, but we no longer have a paid source for the live TV we like for news, sports and the occasional fill of mindless entertainment. 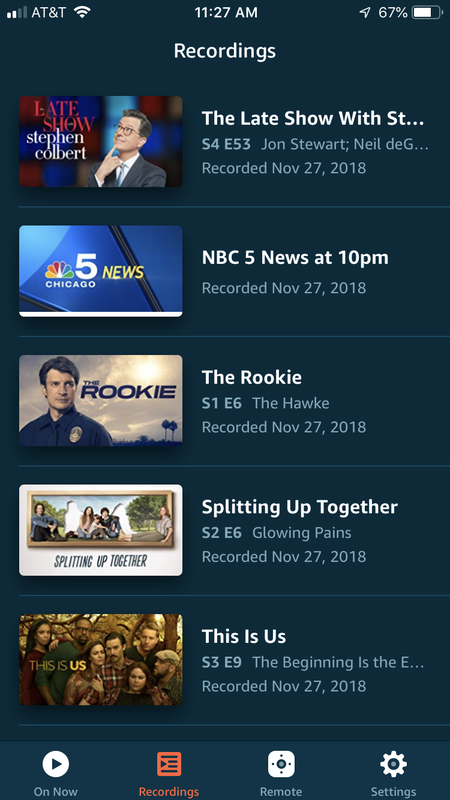 As I mentioned in my previous TV article, I’ve been using Plex and its DVR service to provide that, and while Plex is beautiful and feature complete, it’s also tremendously buggy. So there’s more detail about why my interest in Amazon’s Recast system is strong. 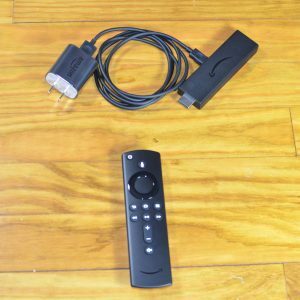 The Fire TV Recast is a tuner/DVR that connects to a TV antenna and your network. Physically, it’s a nondescript charcoal gray box designed to be stuck out of the way and quietly go about its job, and it’s available in two configurations, a 2-tuner 75-hour model and a 4-tuner 150-hour model. The Recast only records over-the-air broadcast television and it has no means of displaying content itself. 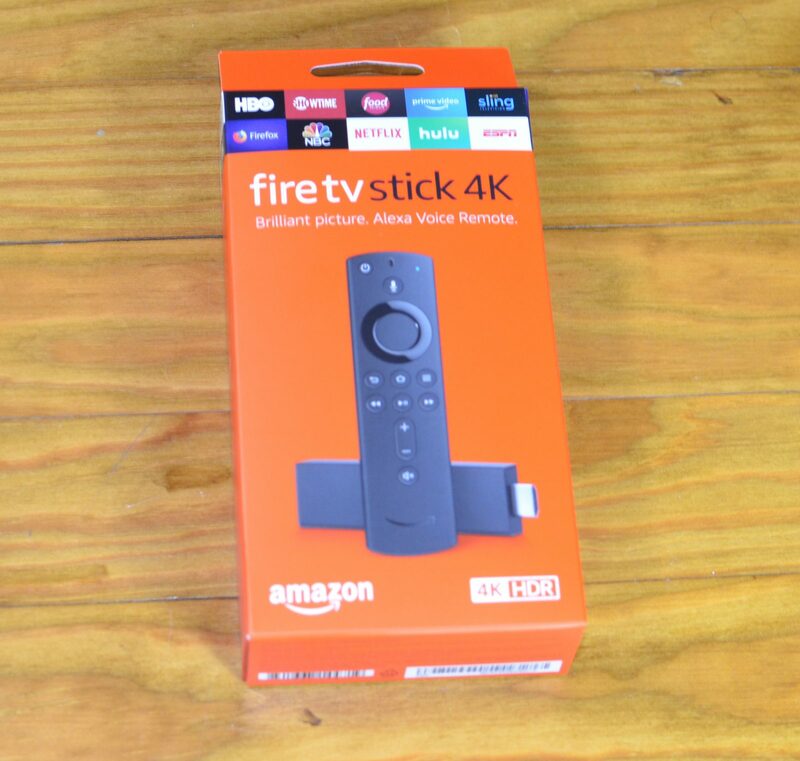 Instead, it uses other Fire TV devices — which are not actual TVs, usually, but I’ll explain below — as the display method while the Recast ideally sits somewhere in your house with strong broadcast signal reception. 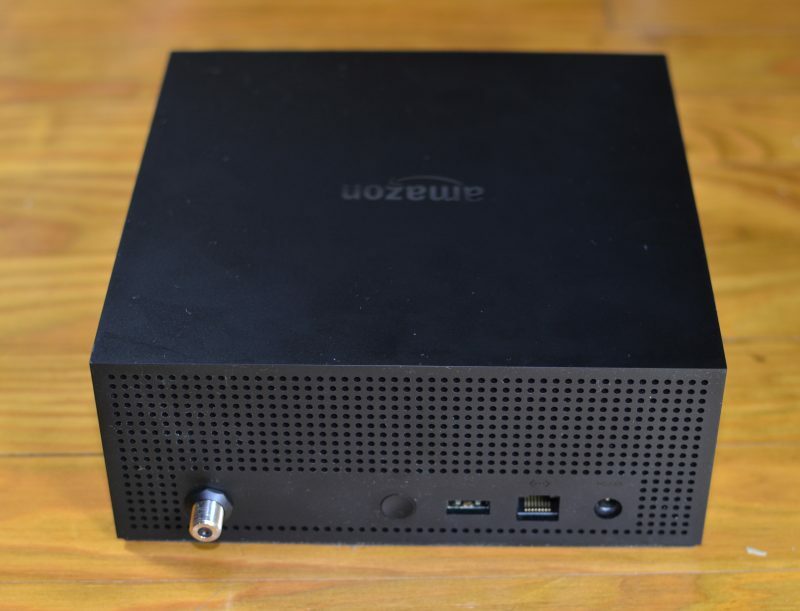 The Recast connects to your home network either via wired Ethernet or via 2.4 or 5Ghz WiFi and then transmits live and recorded TV to Fire TV and Echo Show devices on your network or via mobile app to devices off your network. One of the best things about the Fire TV Recast is the simple pricing model. Amazon does not charge a subscription fee for guide data, nor do they require Amazon Prime membership or any other recurring expense. 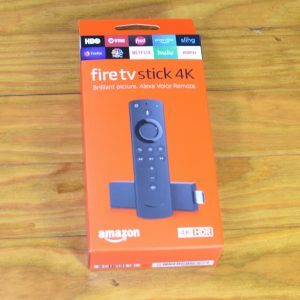 After the initial cost of the Fire TV Recast — $230 for the 2-tuner / 75-hour model or $280 for the 4-tuner / 150-hour model — there’s no other expense. 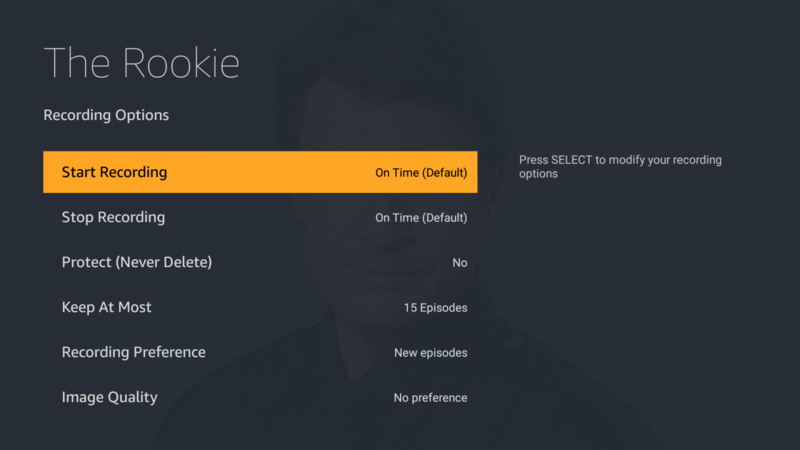 So, a Fire TV Recast is ultimately one part of the system that makes this all work. As you can see in the picture above the Fire TV Recast sits somewhere in the house (or boat) where there’s good TV signal reception. The Fire TV then plugs into the back of your TV via HDMI and ultimately you watch TV via your existing TV. 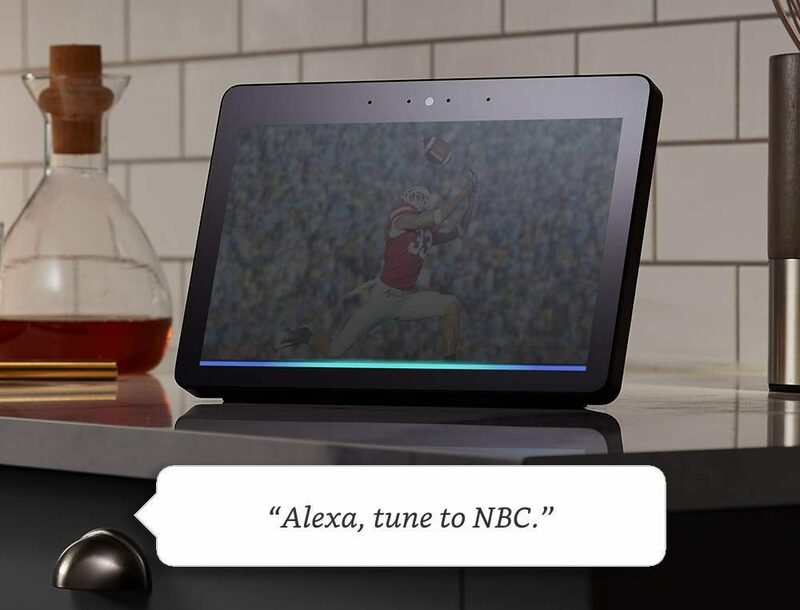 Recast content can also be viewed on Echo Show devices like the one pictured above as well as on the Fire TV mobile app. 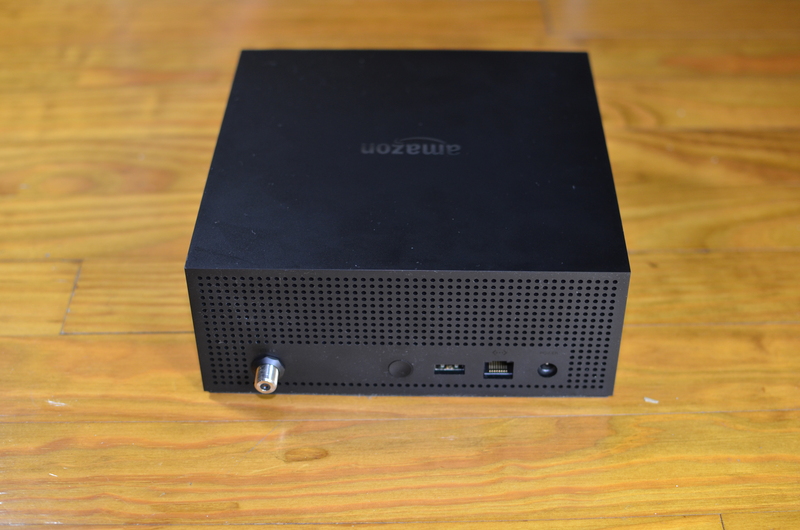 The Fire TV mobile app can be run on Android, iOS or on Amazon’s own Fire Tablets. 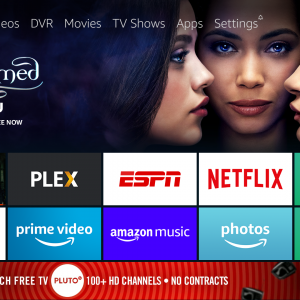 Amazon’s video above does a decent job of explaining how it connects and how you go about watching TV using the Recast. Upon hearing about the Recast, I immediately imagined the Recast at home recording TV from the Chicago broadcast networks. I would then use my home and boat internet connections to stream that TV live or recorded to the boat, wherever it might be, and watch using a Fire TV device connected to a TV on Have Another Day… but Recast can’t do that, at least not currently. 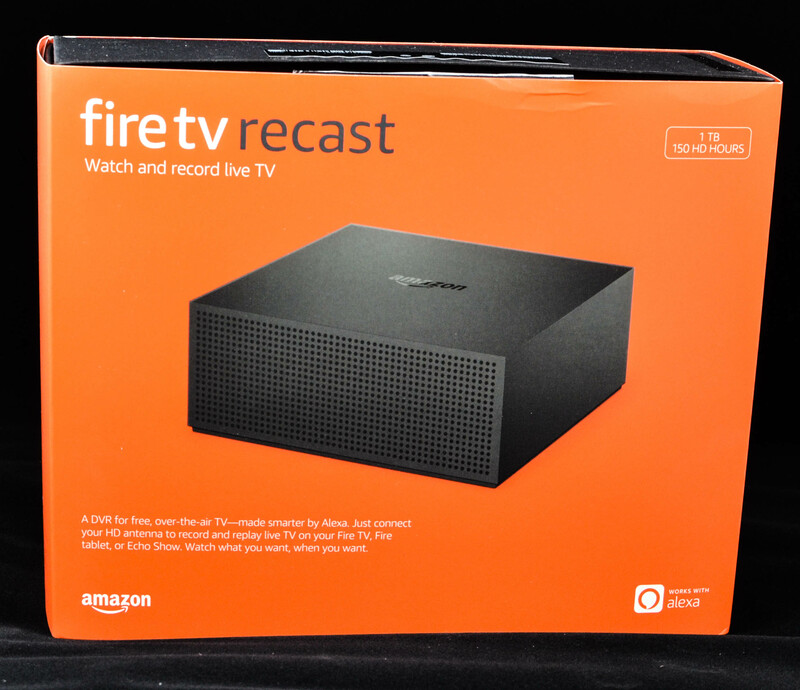 Further reading on the Recast made it clear that, at least at launch, the Recast content can only be displayed on a Fire TV that’s on the same local network as the Recast. 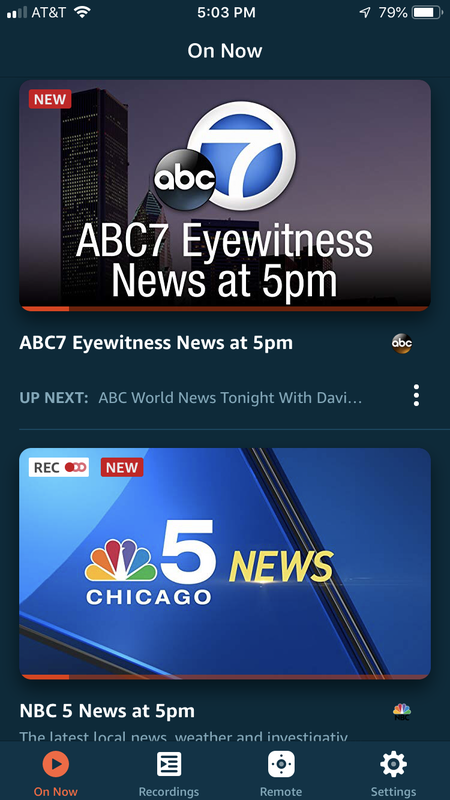 The only way to watch Recast content outside of the house would be using a mobile device running the Fire TV mobile app streaming content from home. Incidentally, that streaming has become a little easier with Verizon’s new $65 per month unlimited hotspot plan. 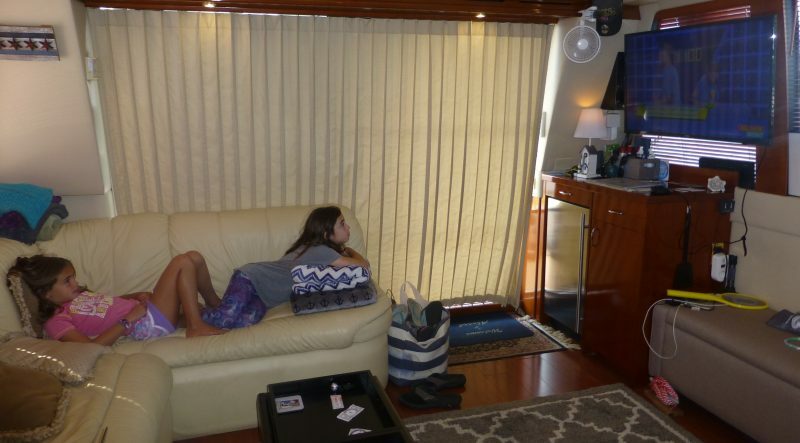 For many boaters watching live and recorded TV on their phone or tablet is a pretty attractive solution, but I was hoping to watch it on my salon TV. So the Recast at home option might not be the best solution for me. Given the limitations, it might make more sense to put the Recast on the boat and use it basically as Amazon intended with Fire TVs connected to the same network as the Recast. Further research hasn’t pointed to any troubles with this use case. 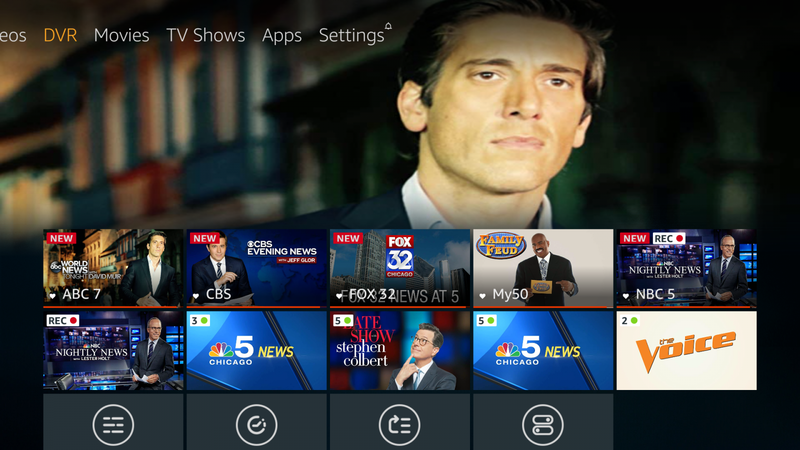 Keeping the Recast local to the Fire TVs has the upside that internet connectivity isn’t as stressed. With the Recast located on the boat, the internet bandwidth demands are smaller, though not eliminated. 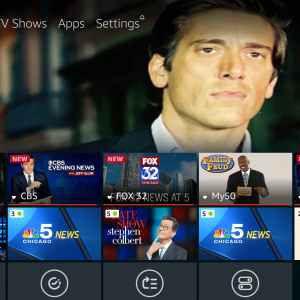 Fire TVs need a working internet connection for the home screen to load, and the Recast needs internet connectivity to get guide data, but with the content itself being stored on the Recast, overall bandwidth consumption would be drastically reduced. For me, the one downside to this option is that we often travel pretty long distances and are often between broadcast markets. 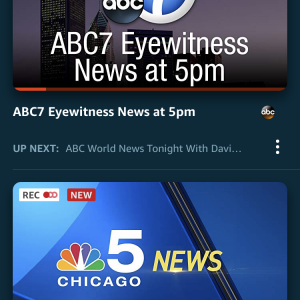 Each time we enter a new broadcast area we would need to go through the channel scan process again and update the Recast with the current market’s channel layout. But it appears that the Recast doesn’t store scheduled recordings on a per channel basis, so I believe all my previously scheduled recordings would still work as I change channel maps. However, it’s also likely reception will vary as we travel, and we frequently spend time in pretty remote locations. The Recast supports two concurrent streams. So, even though you can record up to 4 programs at a time you can only watch them on two TVs, Echo Shows, or mobile devices at a time. All Recast TV is streamed at a maximum of 720p resolution. Even if the program is broadcast at 1080p it will be streamed to your Fire TV or mobile device at 720p. You can only use a Fire TV to display content if the Fire TV is on the same network as the Recast. 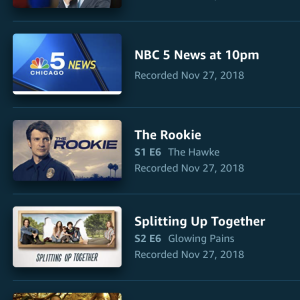 There’s no way to play Recast recordings on a computer, Apple TV, Roku player, etc. None of these issues take away from the fact that thus far the Recast has just worked. I’ve yet to see a failed recording (one I can’t playback), and I have had no troubles with scheduling. I’ve tried using the Fire TV Recast with my Echo Show and it worked pretty well, though I found Alexa voice commands to be a bit obtuse and hard to remember while I’ve also found ‘her’ to be very picky about the syntax of those commands. 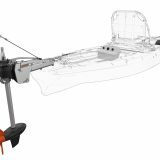 The Recast uses 12v power while consuming between 9 and 15 watts according to AFTV news, which would make powering it on the boat fairly easy. I’m at home for a few weeks now before we return to Have Another Day and continue our travels, and due to the reasons above, I haven’t decided if I’d rather have the Recast with us or faithfully recording programs at home. If I could use the boat’s Fire TV devices to play back the recordings from home in our salon I think it would be a pretty easy decision, so I’m really hoping Amazon might add that capability soon. Thanks for the heads up – I won’t likely use it but it may find a place under my kids’ Christmas tree! Not sure it is worth the trouble, but conceivably you could add a router and vpn from your boat back to your home network. I think that having the content local (decreased bandwidth, higher reliability, etc.) is still the best approach though. . I found a remarkably easy approach to TV on my 1995 Nonsuch 354 with a built-in 1995 entertainment center, including an analog CRT/TV/VCR. I installed a three-way PL-259 Coax switch in the nav station and use my 65’ mast mounted VHF for 1) Garmin 200 Marine VHF comms and 600 AIS when underway, and 2) ICOM 7100 2-meter amateur radio (K7TW) and 3) a new 20” ATSC TV when docked. 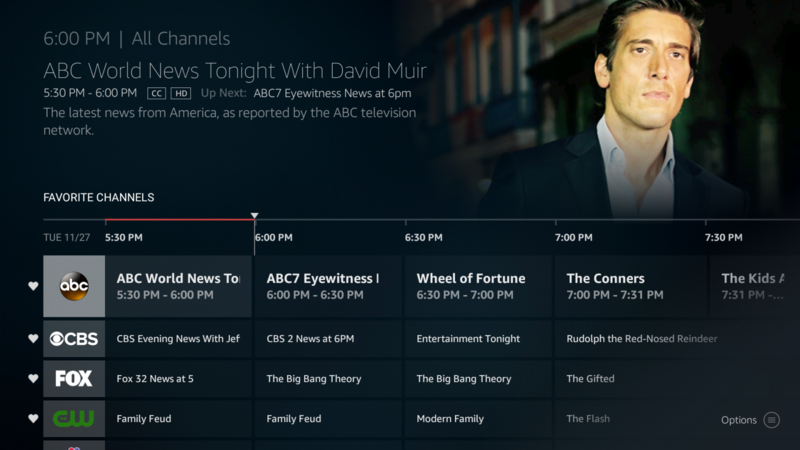 It allows the content on the DVR to be distributed on the network. So you can watch DVR’s shows on the Ipad as well as the TV for instance. Kind of an easy way to divide one antenna connection to many devices. I have been streaming media for years with no problem on my Trojan F32. 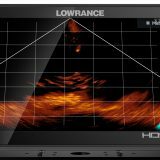 I use a Shakespeare WebWatch which I can connect to a local wifi hotspot or AT&T data. I then have a Slingbox connected to my home cablebox. Slingbox allows me to stream all the channels I get at home anywhere to an IOS device for free, I then output my IOS device to my onboard smart TV. 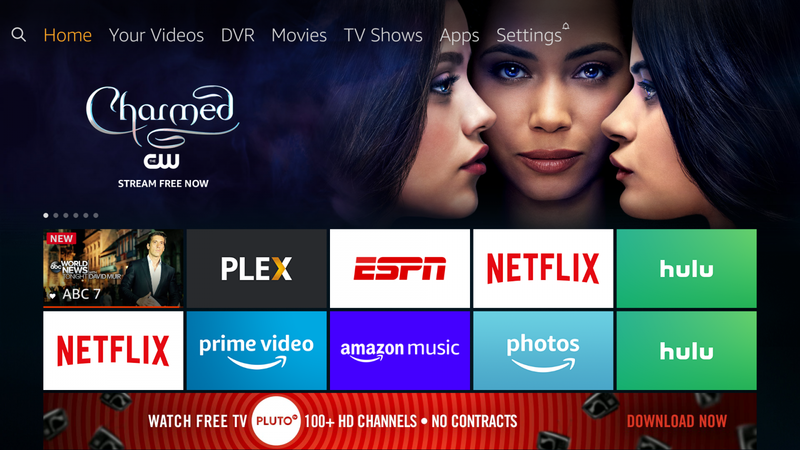 The smart TV connects to my Prime and Netfix accounts so that’s covered and the Webwatch also takes care of my over the air TV. Very easy and it all works like a charm. And they did confirmed it. I however don’t use it, I just like it as an option. I have tested it several times. A few channels now and then will give me problems but for the most part it worked. 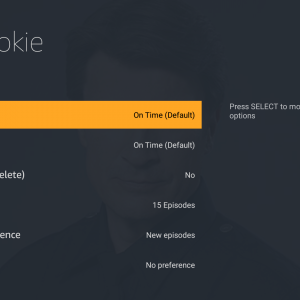 Right now you are unable to schedule recordings unless you’re on a fire tv device on the same network as the recast. 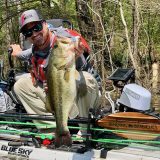 You are able to hit record on whatever is on at the very moment, I also don’t believe there is a guide when using the app away from home or even at home. Take a look at the Tablo too. More mature than the Recast and works with Roku. I have been looking at the Tablo as I have a number of ROKU devices already but some reports are it’s a bit buggy. I’ve had one for two years and am satisfied. Tablo’s main web page includes a pretty neat app that guesstimates the over-the-air channels and programs available at your zip code. But I live in the puckerbrush (04843), so the app wonders if I put in a valid zip code or if perhaps I’m Canadian. I’m not offended. This is great if internet is present, does it work with your network but no internet? Interesting, but how about Tivo? Can the Recast work without the internet? I don’t know, but the Firestick must have internet to work, IIRC. I suspect Recast must have internet. The Tivo, OTOH, does not require internet service to record/replay programs but it must have cable or an OTA signal. We use ours for OTA only. If you want the programming information from a Tivo it must have internet service, that also applies to periodic software updates, etc. The Recast (and as you mentioned the entire Fire eco-system) must have internet connectivity to function. 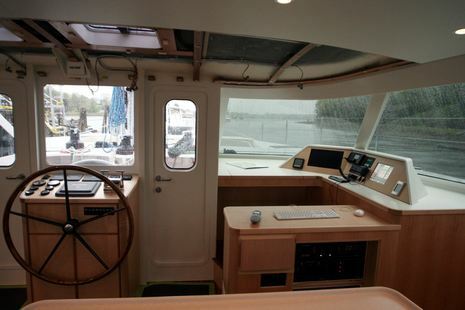 This is definitely a limitation and depending on your cruising may make the Recast a poor choice.